My incredibly convenient little 11″ MacBook Air is probably the best thing to happen to me since, well, since purchasing my equally-as-awesome 15″ MacBook Pro. I can now trot around in high heels while swinging my Air haphazardly through tech conferences and events, cradle it easily in one arm while typing out interview notes with my free hand, and even stuff it into purses that are probably too large for me to be carrying in the first place — it’s magical! 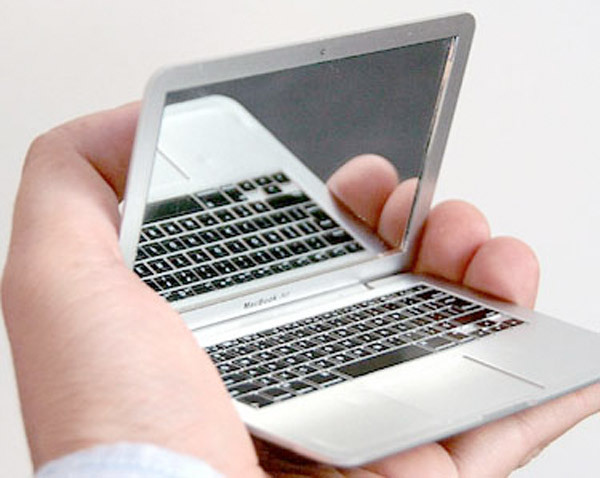 Though if my professed love for all things tiny, geeky and cute hasn’t been made apparent by the above paragraph (which I will now adoringly refer to as my ‘Ode to the MacBook Air’), allow me to drill it into your brains just a little deeper. 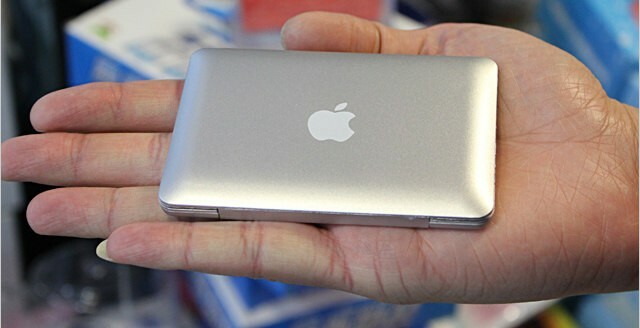 While surfing the ever-entertaining world of the Internet today, I stumbled onto the following: A perfectly duplicated mini version of the MacBook Air, only better, because it’s actually a compact mirror. This means I can vainly stare at myself all day while simultaneously being geeky at the same time. Bonus! Or wait. 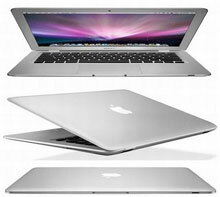 I guess that doesn’t make it “better” than a MacBook Air, per se. I already do the same thing with FaceTime on my iPhone 4S or through PhotoBooth on my actual Mac, not to mention the fact that this mini Air won’t let me log onto the Internet, so okay. It might not be that cool. But hey, if video game geeks are getting Triforce tattoos and collecting candy-filled 1up mushrooms to show off their love of all things nerdy, I can certainly and unabashedly tote my MirrorBook Air without fearing any embarrassing repercussions, right? Right. 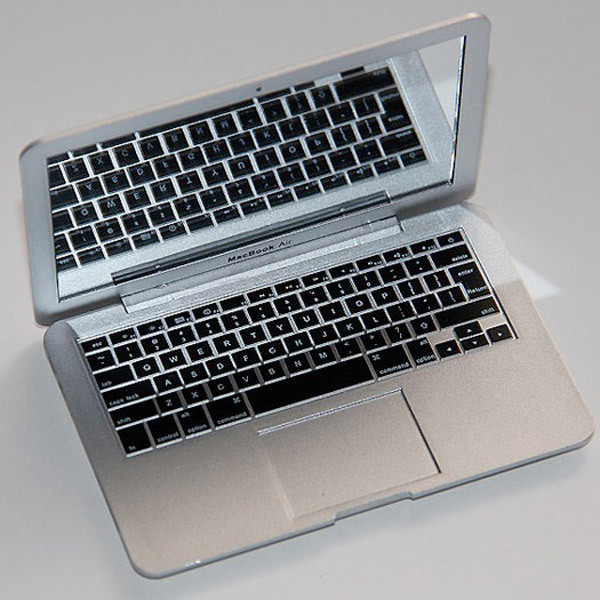 Check out the MirrorBook Air for yourself below, and if you happen to be feeling generous, I definitely wouldn’t mind one for Christmas. Hint, hint. Read next: If you love The Muppets, why not tap along to their music?